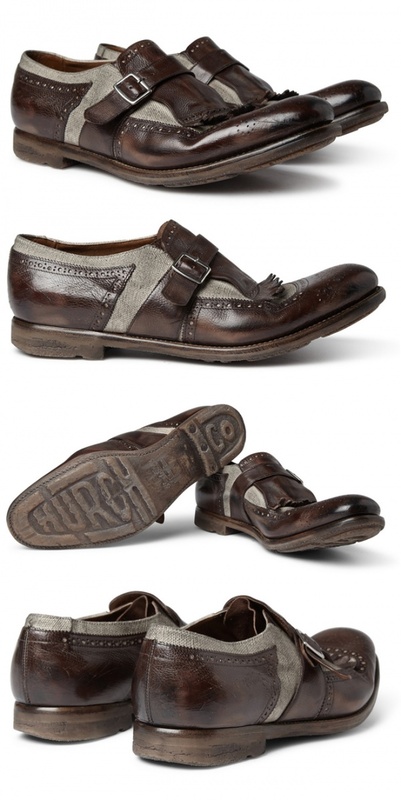 English footwear manufacturer Church’s, has created a beautiful pair hybrid shoes, the Shanghai Fringed Leather and Linen Loafers. 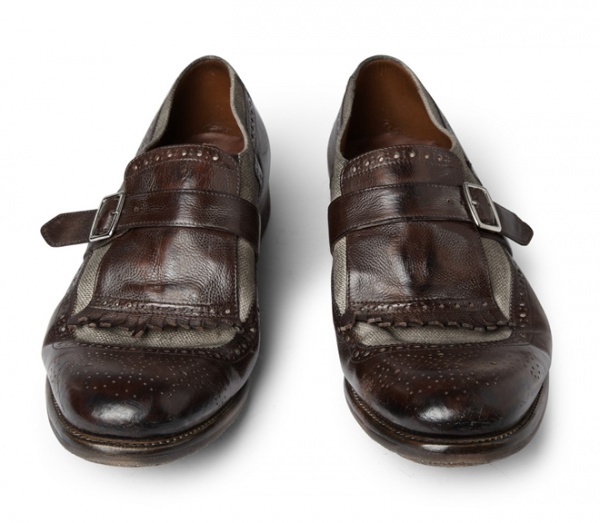 It merges 3 different silhouettes and blends different textures combining dark brown leather with linen canvas panels. 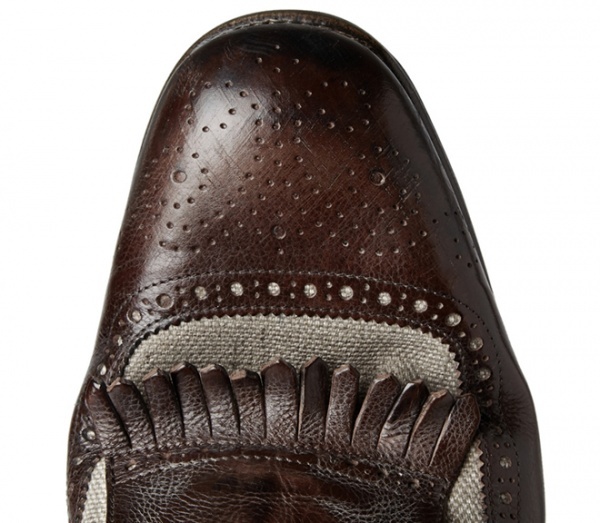 This loafer features a single buckled strap closure to one side, which resembles a classic monk strap, and incorporates a classic brogue perforated detailing to the front, side and tongue, topping it all off with the inclusion of traditional tasseled detailing integrating the relaxed loafer feeling. 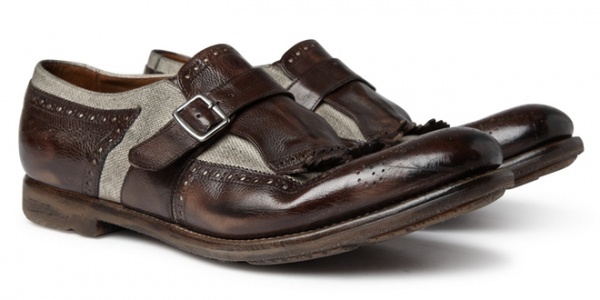 This entry was posted in Footwear and tagged Church's, Fringed Leather, Linen, Loafers, Shanghai. Bookmark the permalink.